Family owned and operated since 1986 the Old Fashioned Italian Deli is located on the corner of Littleton Blvd and S Delaware St. We create authentic hand tossed pizza and calzones! check our Reviews and then come by and check us out for yourself. Come visit our Google+ page to leave us comments or upload your pictures. Started by Tom Panzarella in the early 80's. Capturing the Chicago and New York deli's he frequented from his youth opened the OIFD in Littleton Colorado.The Deli is family owned and operated. Dave the owner, and his wife Emily strive to make everyone feel at home when you come to eat. We pride ourselves on home made food. We make our own Meatballs, sausage, sauces, soups, pizza dough, fresh pasta salad and mac salad. 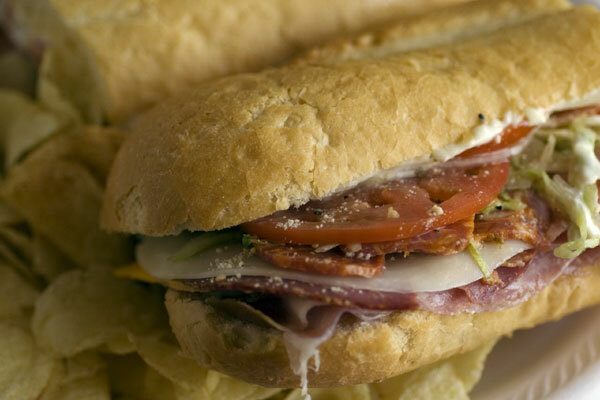 We are known for our sandwiches hot, cold, or create your own. We slice the meat fresh for all of our hand made sandwich creations! The Godfather is just one of our signature creations.